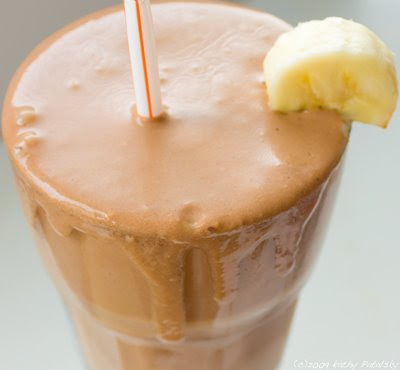 Melted Peanut Butter Cup 'n Banana Shake. Vegan Bliss. *You can also use another brand of rice, soy, hemp or coconut ice cream. 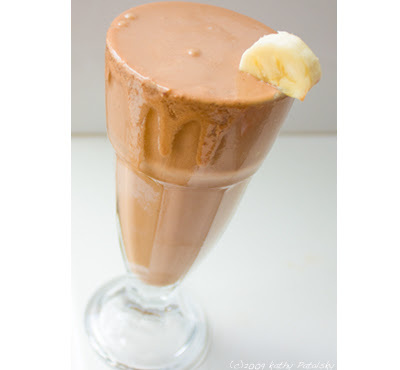 But Bliss is amazingly rich because it is made with coconut milk, which is higher in fat than soy or rice milk. 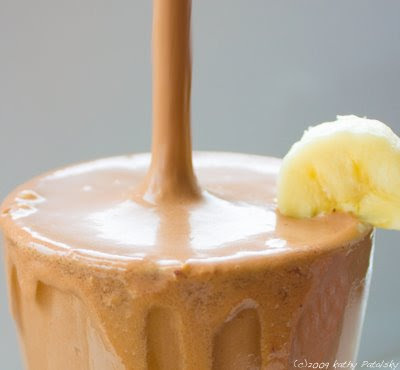 Add the 'milk', cinnamon, peanut butter, banana and 1/2 of the 'ice cream' to a blender. Add all the ice cubes. 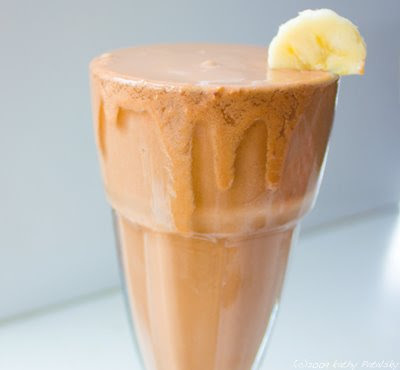 Blend on med-high until the ice is blended. Then on a very low speed, blend in the remaining 'ice cream'. 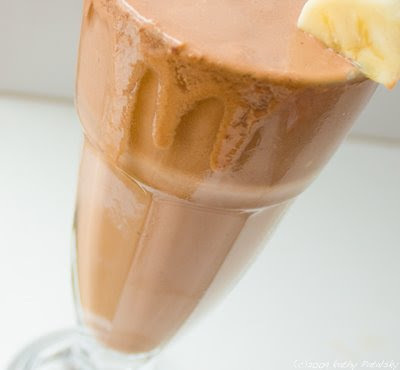 Now for version two...for a thick milkshake..
optional: 1 tbsp chocolate chips, blended in. optional: 3 vegan marshmallows, blended in. 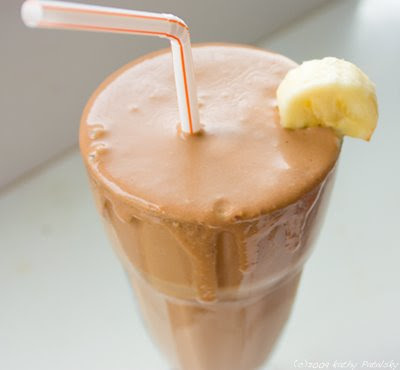 Blend on med-high until the ice and banana is blended. Then on a very low speed, blend in the remaining 'ice cream'. 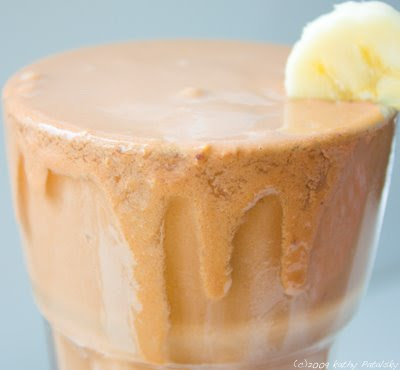 Add more ice cream and ice if you want it even thicker! 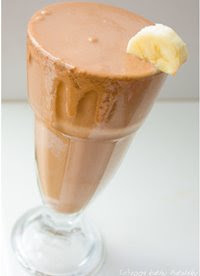 Or add two frozen bananas at the start of blending.